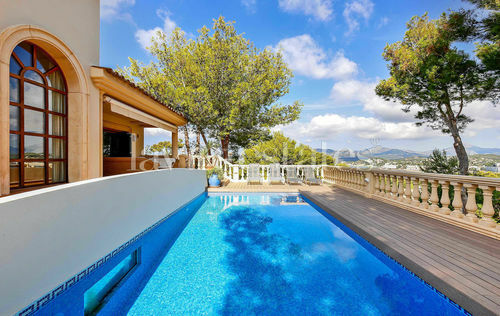 This stylish sea view villa is located in Nova Santa Ponsa and was built in 2002 with the highest quality materials. The property has a plot of approx. 896m2, a constructed area of approx. 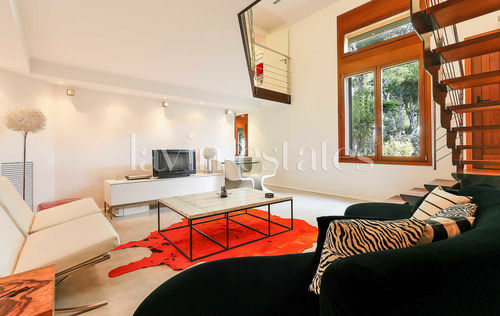 440m2, a living area of approx. 287m2, a magnificent outdoor area with open and covered sun terraces with BBQ corner and cozy lounge as well as a heated salt water pool and an easy maintenance garden. 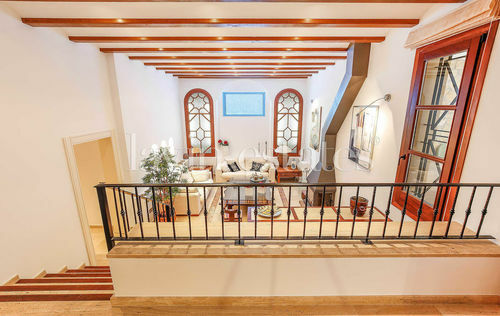 The living area of the villa is spread over two floors. 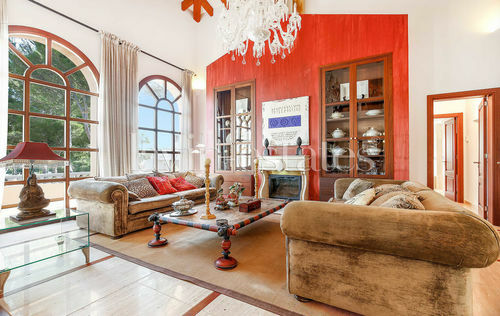 The main floor offers a spacious entrance area, a large living and dining room with fireplace, exceptionally high ceilings, beautiful windows and access to the covered terrace with breathtaking sea views. 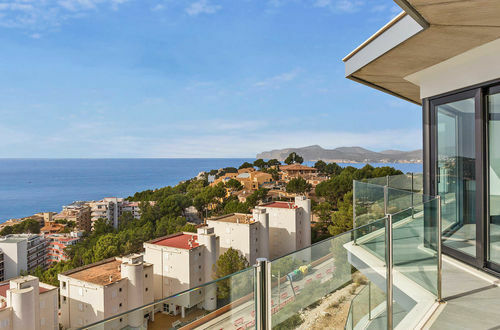 Furthermore, on this level are a separate and fully equipped kitchen with dining area, a master suite with en suite bathroom and access to the sea view terrace and the pool area as well as a guest toilet and another bedroom with en suite bathroom. In the lower level is a “winter” living room with cozy fireplace as well as a wet bar, a game room, the access to the covered terrace, a bedroom with en suite bathroom and another bedroom, a bathroom and a laundry room. 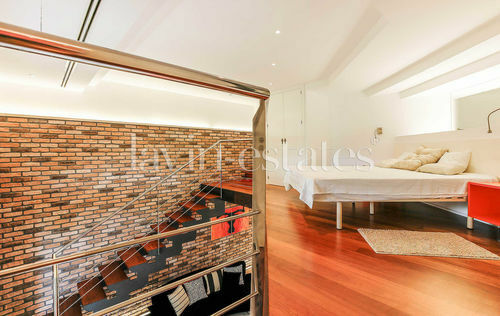 In addition, the property has a modern duplex guest apartment with separate entrance consisting of an open plan living area with bedroom, bathroom, kitchen, living room and access to the garden. 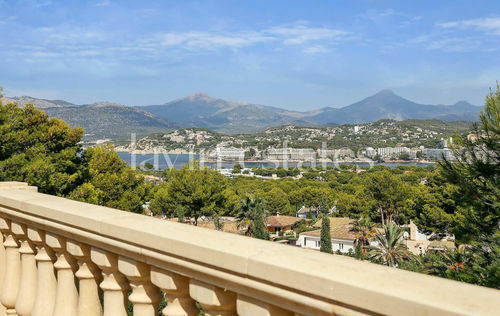 The luxury features of this property include beautiful travertine floors, smart home system, Bose sound system, security glass, double glazing, electric underfloor heating, air condition, alarm system, video intercom and automatic garden irrigation system. The property is located close to the exclusive marina Port Adriano with its exquisite bars, restaurants and shops. Several beautiful sandy beaches can be reached in a few minutes.